Q: How long have you been providing psychic event entertainment services? A:In the summer of 2005, our founder noticed that many psychics were not approaching event entertainment differently from a private one-on-one reading. A party psychic is someone who is accurate in their predictions or insights but knows where to draw the line. The Party Psychics draw the line at telling your guests when they’ll die, if they’ll get into an accident, or conversation about illness and difficult and life altering topics best discussed with a licensed professional. 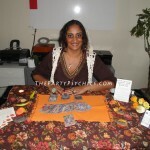 The Party Psychics are focused on providing upbeat, fun, magical, and enlightening readings. They ask for the information they receive to be hopeful and positive, when coming across difficult events in the lives of you or your guests. 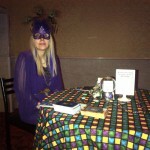 Our psychics also dress to impress to add a magical vibe to your party atmosphere. Q:Can I meet or speak to the reader? A:Most of our readers have day jobs and lead busy lives. They also work with us because they’re not interested in handling tasks of running a business such as sales, marketing, booking, etc. They’re in this to make a difference in the personal lives of you and your guests and not get bogged down by the business side of things. We’ve provided photo pictorials of some of their events along with their bio and testimonials. We do hope that our guaranteed service will give you comfort in booking one the best psychics in town. Q:Are psychic readings against anyone’s religion? Will my guests be upset if we have a Tarot, Palmist, or other type of reader at our party? A:There are religious dogmas that suggest not to use any divinatory techniques, information, and/or tools to foretell the future. The Catholic church is one religious example. Having faith in God is the prevailing theme.However, guests who are religious can usually still enjoy a great reading as information about the past and present which doesn’t divine (foretell) the future, receive angel card readings, and personality readings can be had. And in reality all future predictions are possible outcomes only as freewill and other aspects are to be considered. In other words, we look at what’s going on today to come to a conclusion of what *might* happen in the future.With that said, for guests who don’t want to know about the future, we can also focus on their character and personality through any of the tools we use such as numerology, astrology, palmistry, or tarot or tell them what’s going on in their life right now — purely entertaining. We just ask that the sitter/organizer tells us to *not* make any predictions about the future. Q: Can I book more readings than the party package allows for? A:Yes. We have customized event entertainment services where there are a number of options and possibilities are only limited based on your budget, desires, and needs. Note: We have been in business since 2005 and the packages on this website reflect the needs of the majority of private parties. Q: Can I pay the reader at my event? A: A deposit confirms your booking and we often prefer full payment so the reader can focus on what they do best – read. We take pride in the work we do and we take your event seriously. Also, our readers set aside time to prepare for and do your event; however, to maintain a happy work/life balance they don’t begin this process until the booking is confirmed with a deposit. A: We book on a first confirmed, first booked basis. We suggest 2-6 months in advance for any event that requires more than two readers, is during weekday daytime hours (premium service) or is built around a seasonal event such as Halloween, Christmas, or New Year’s. For many events, 2-4 weeks is enough time in advance and we can always check with our readers to see if they’re available for a last-minute event so contact us anyway with your booking interest. Q: Can I book my reader for a private reading after the event? A: Yes. You’re reader will hand you a business card at the end of the event. It may be our main company card or a personal card. Please book your private reading through us, as we manage their bookings. Their private reading fee ranges between $80 and $110 for one hour, with one person. They’ll do it over-the-phone or you can decide whether to meet at your place or a coffee shop for mutual comfort. Your reader may read up to two people, at one time for a total of two hours from $150 to $200 or 1.5 hours from $110 – $165. They will not be dressed in costume and the reading will be set up differently than the event style. Q: Can I ask the reader to stay later than the party package? A: Yes. However, you’ll be charged overtime rates. Q: Will you refund my deposit if I cancel or want to change the date? A: We will give you a credit to use for a future event, less a $30 kill fee (passed on to the reader) if the reader originally booked for your event can not reschedule or if you are not rescheduling your event. Q: Will there be any other expenses other than the party package fee? A: If the reader who we have available for your event is out of your area, there may be a travel expense. Generally we have enough readers who reside in various parts of the GTA that that is not a necessity. We also charge HST like other businesses. Learn more about costs. Q: Will you switch my reader? A: In the unlikely event that a reader is not able to attend your event (i.e. ill, accident) we reserve the right to find you a replacement reader of equal quality and ability or refund the difference. If we are unable to do this, you will receive a full refund. We are not to be held liable for any damages for us not being able to find a replacement or a reader replacement showing up later than the originally booked time. Our only obligation is a full refund. Having said that — we would do our best to make things right and happy in your world. Q:What do I and my guests need to know about your services? A:It would be helpful if guests knew in advance the types of things they would like to know. Do they have a question that’s been on their mind? Do they want a general or specific reading? Do they just want to be “read”. Also, it’s good to tell them how much time they have with the reader so that everyone gets a chance to get a reading.In addition, your guests can be sent to the reader’s description page which will outline their bio, and how to ask questions of that reader if they have a preference.You will be provided with a “How to get the Best Reading Possible” pamphlet (upon request), to give to your guests/attendees, when you book our services. Please ask for this specifically by name “How to get the Best Reading Possible” if you would like it for your event.A three to five minute break every 40-60 minutes may be taken for refresh purposes (bathroom or water break, for example). Q:What does the reader need to perform at their best? A:Your reader requires a reading area in the most quiet spot — furthest away from other conversation and music speakers or else they won’t be heard by your guests and their voices will eventually cut-out. Extra rooms, halls, board rooms, offices, rec room, bedroom, etc.. are all good choices. Please chat with us if you are unsure if the space that you have will work for the reader.Lighting is also important. If it will be dark, let us know so we can tell the reader to bring portable lighting (such as candles).In most cases, table area and chairs are supplied by you. If these are not available, please advise us at time of booking and we can work together to create a cozy environment for reader and guest. If reading outside, a tent or covering against the elements is required and supplied by the organizer. Please state this in advance.Finally, let us know your expectations in advance; we want to know how you feel and what you want to follow through on your vision.